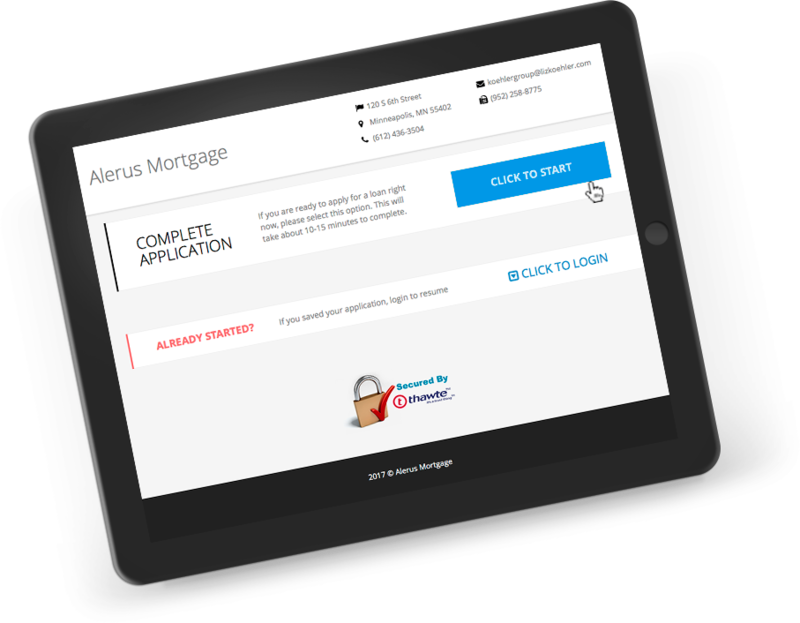 When you have an approval letter from The Koehler Group at Alerus Mortgage in your hands, it really means something. Realtors know that an offer made by someone with our approval letter is serious. Our approval letter is a commitment to you. Liz was fantastic, always available for communication when needed, very professional, kept us on track. We’ve both purchased a home and completed a major remodel with Liz and her team. Liz’s creative problem solving, her plainspoken explanations and her team’s superlative service are second to none. I regularly refer my friends and colleagues to Liz and ever referral who met with her ended up doing business with her. An amazing experience every time.